Start getting excited Ed Sheeran fans, because the singer/songwriter has some big news coming for all of us next week. 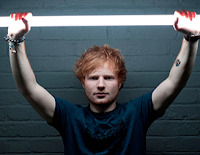 Ed has revealed via his Twitter account that everybody can expect the news on January 6th. Could this be the long-awaited new album announcement that we have all been waiting for? Tour plans? Only four days to go until we find out. Ed's cryptic message can be found below.